Maud Maxon was a little girl in Mystic, Connecticut, who went on a ship voyage with her uncle. 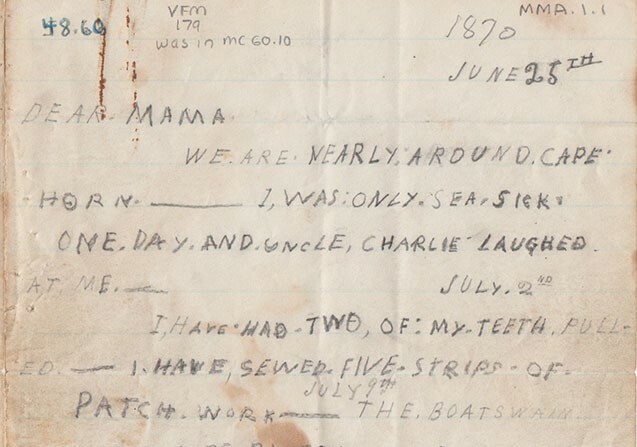 Her mother did not go on the trip, so she wrote letters to her mother to tell her about her days at sea. How did maritime culture influence the people of Connecticut? How was life in the 1870s similar or different to life in Connecticut now? How has transportation improved since 1870? What would it have been like for children at sea? 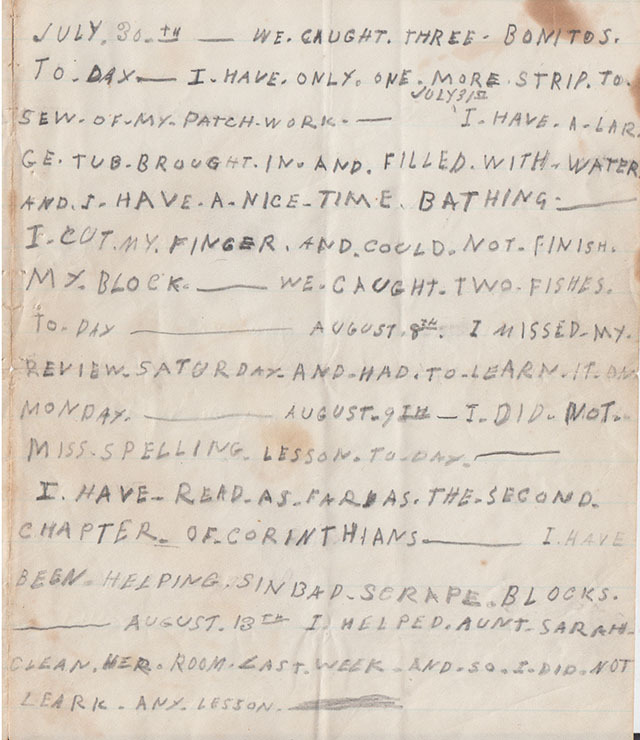 Page one of letter – Mystic Seaport. Page 2 of letter – Mystic Seaport. 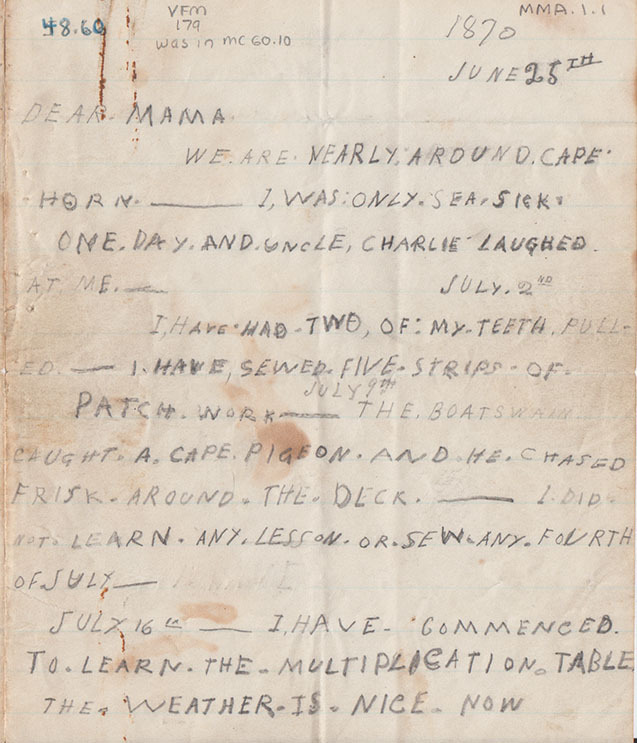 Page 3 of letter – Mystic Seaport. There are more pages available on the Mystic Seaport website. 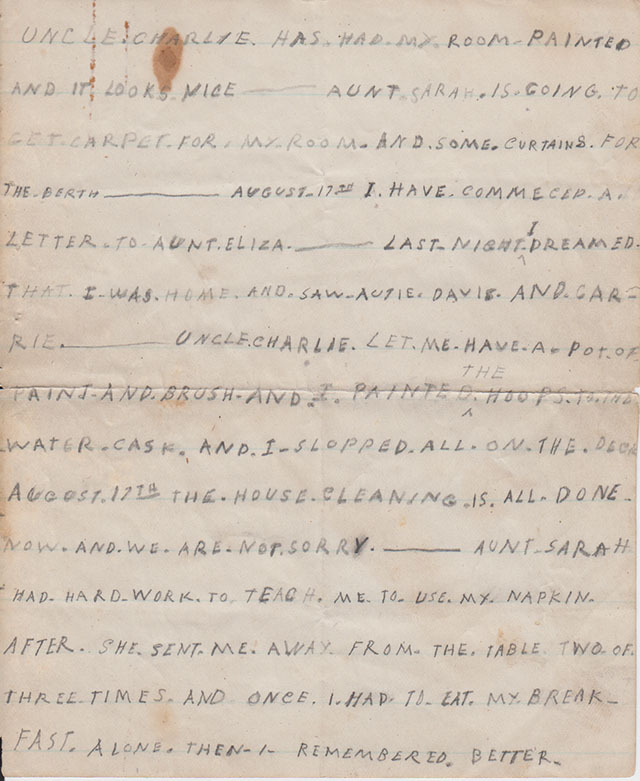 Divide students into small groups and have them read the first page of the letter (if it is difficult to read, click on the Mystic Seaport link as there is a “transcription” of the text as well as an audio version at the top of the page). Have students write questions about the letter on sticky notes. Continue with the next page and see if any of the questions on the sticky notes were answered. Remove those notes. Add new notes as additional questions are raised, etc. Explore the questions and see if some are answerable with the letter itself. If not, have students research what life at sea would have been like, and even more so for children. Also consider the routes one would need to take in the 19th century to go from Mystic, Connecticut, to San Francisco, California. Create a map of the sea routes one would take to travel from Mystic, Connecticut, to San Francisco, California, in the 19th century. Would there be a faster sea route now?